We have 14 registered suppliers in this City ..! 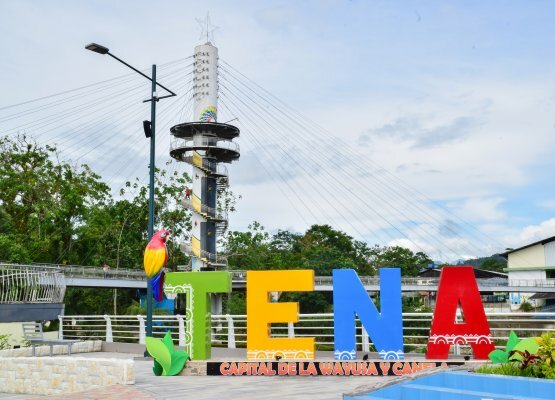 San Juan of the two rivers of Tena, or simply Tena is a city of Ecuador, capital of the Napo Province; Besides, it is the cantonal headland of Canton Tena. It is located in the southern part of the province on the Misahuallí river valley at an altitude of 510 meters above sea level in the Amazon region of Ecuador. It has a warm-humid climate with an average temperature of 25ºC. Tena has 23,307 inhabitants (2010); Is the political center of the province, houses the main governmental, cultural and commercial organizations. The area was inhabited by aboriginal peoples before the arrival of the Spaniards, was populated by the indigenous Quijos. It was founded on November 15, 1560 by Gil Ramirez Dávalos.